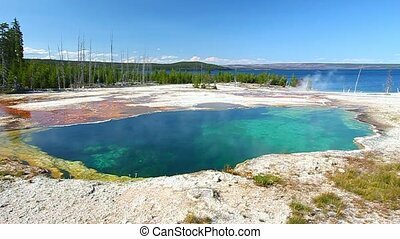 Ear spring - yellowstone park. 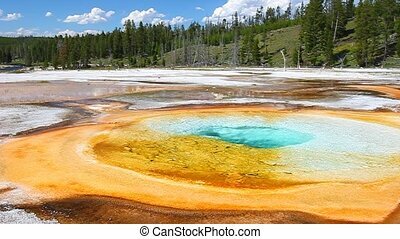 Beautiful colors of ear spring in yellowstone national park of wyoming. 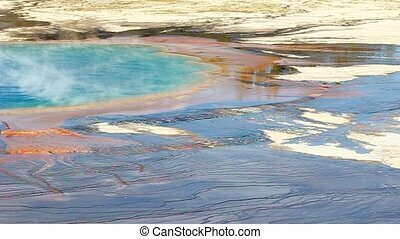 Beautiful colors of Ear Spring in Yellowstone National Park of Wyoming. 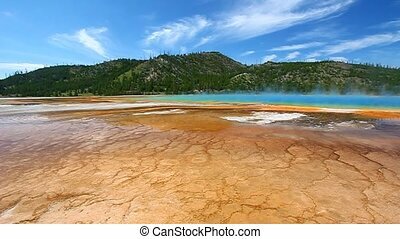 Vivid colors of Grand Prismatic Spring in Yellowstone National Park - USA. 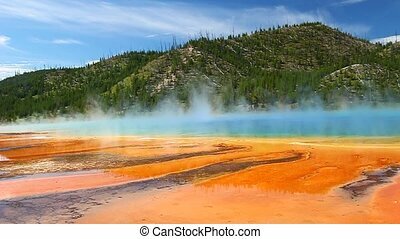 Steam rises off the amazing colors of Grand Prismatic Spring in Yellowstone National Park - USA. 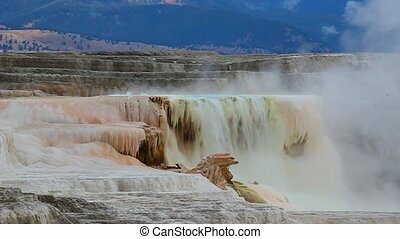 Hot water flows from Canary Spring in the Mammoth Hot Springs area of Yellowstone National Park. 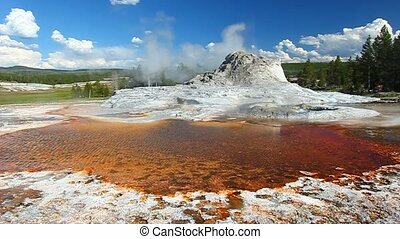 Hot spring below Castle Geyser at Yellowstone National Park - USA. 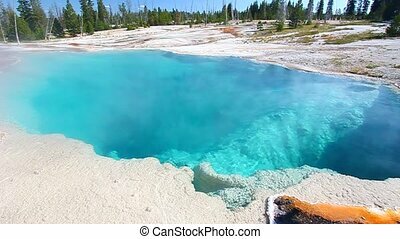 Blue Funnel Spring near Yellowstone Lake in Wyoming. 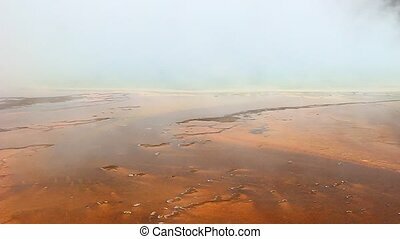 Billows of steam obscure portions of Grand Prismatic Spring in the Yellowstone National Park. 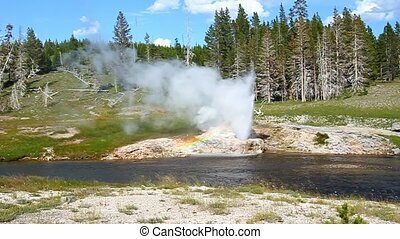 Riverside Geyser erupts into the Firehole River of Yellowstone National Park - USA. Small spurts of water erupt from Grotto Geyser in Yellowstone National Park - Wyoming. 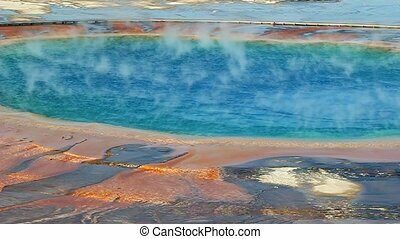 Light shimmers across the surface of Chromatic Pool in Yellowstone National Park - USA. 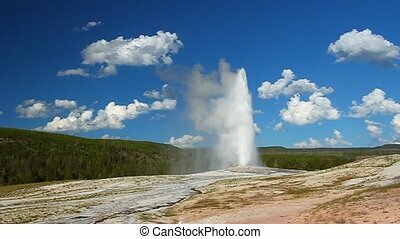 Old Faithful Geyser erupts on a beautiful evening in Yellowstone National Park - USA. 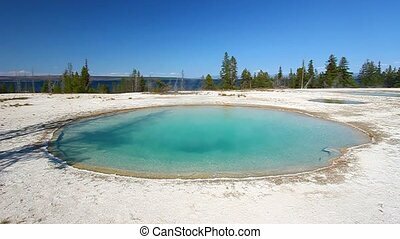 Dazzling blue colors of Abyss Pool in the West Thumb Geyser Basin of Yellowstone National Park. 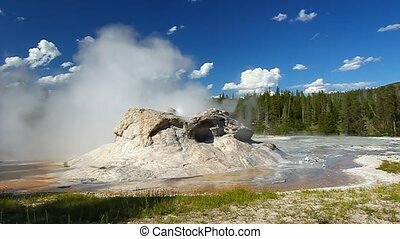 Steam rises off Black Pool in the West Thumb Geyser Basin of Yellowstone National Park. 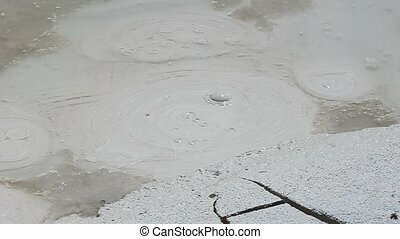 Bubbling waters of the Artists Paint Pots at Yellowstone National Park - USA.